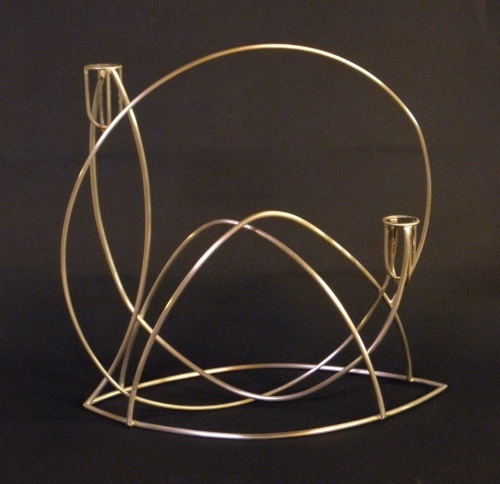 This year, I started making candlebras after being inspired by a custom candlebra I made for a client. 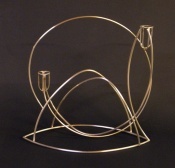 This double candle holder is made of nickel wire in 3 different gauges, and all soldered together in a Modernistic style. It's part Art Deco, part 50's, and yet very distinctive. Best of all, it does not obstruct your view on a dining table. The candles appear to float on this candlebra. Size: 11" x 11" x 5 1/4" at base.